How do you do it? 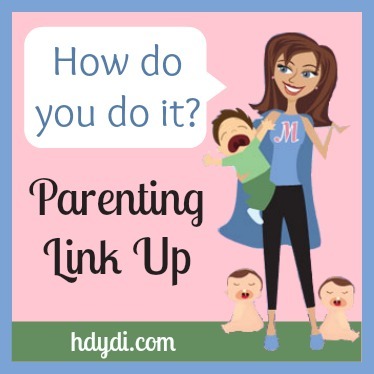 Parenting Link Up #22 | How Do You Do It? Welcome to the How Do You Do It? parenting link up party. Here, you have an opportunity to share your posts with other parent bloggers and the followers of How Do You Do It? and What’s up Fagans?. How do you do it? is a community of mothers of multiples that believes in supporting each other, in sharing our experiences and questions, in friendship, and in encouragement. The link up is open to all of our readers, whether you have multiples or not, where you can share your wisdom, your favorite posts, your insights, with our online community here at HDYDI and What’s up Fagans?. Each week, we pick some of our favorite posts and feature them the following week on our site! Plus, we pin them on Pinterest, tweet them on Twitter, and share them on Google+ and Facebook! 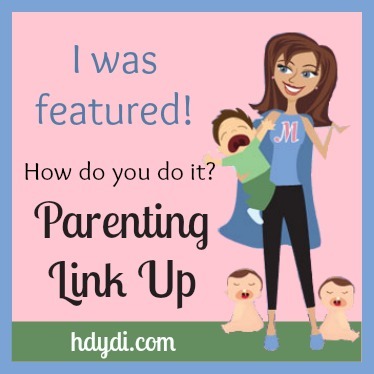 Get some more exposure for your great content, and don’t forget to check out the featured posts from last week’s link up! Plus, ldskatelyn of What’s up Fagans? is co-hosting our link party on her blog as well. One party on two blogs means double the exposure and community. 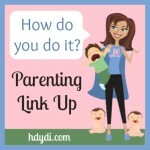 Each HDYDI parenting link up party accepts new links from Monday morning through Friday at noon. So tell us: How do you handle conception, pregnancy, prematurity, birth, and postpartum recovery? How do you handle tantrums, diapering bills, stress, and potty training? How do you handle education and special needs? How do you balance the needs of several children with a marriage? 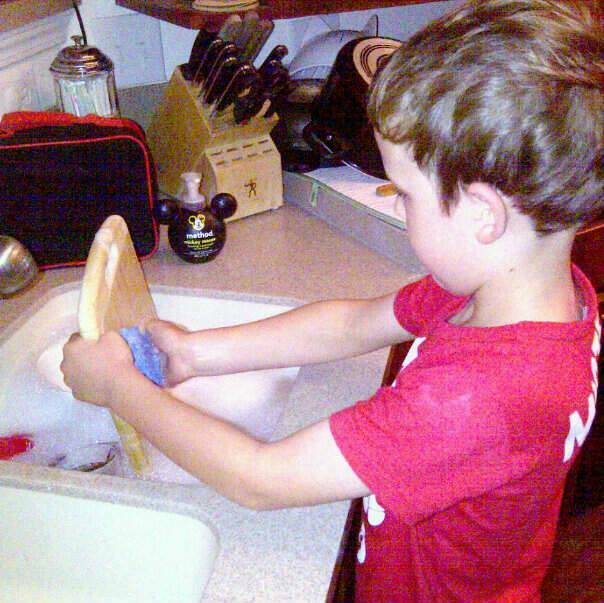 How do you manage being a stay-at-home mom, a working mom, or a single parent? And how do you find time for yourself? There were so many great posts linked up last week! Seriously! I would love to feature like six of them! So, I’m going to do a little honorable mention of some of my faves, cause I can. For our multiple moms, Katy shared 5 great tips to survive the NICU, Dory shared things to say and not to say to twin mommas, Christina shared things to include on your twin baby registry, and Alison celebrated her preemie’s 8th birthday. Ciara shared 10 tips for When your child is unhappy at (pre)school. And one of the funniest posts (and embarrassing posts – sorry Katy!) comes from Katy’s trip with her potty training twins/giving up naps twins at the zoo which I am sure many of us can relate to! Our most clicked link from last week was from Carolyn of A Lavender Life. She shared her makeup essentials for busy moms. 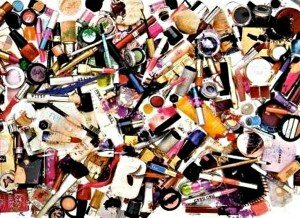 What are your favorite makeup products? Kimber of Kimber’s Navy Family decided two years ago to stop eating hydrogenated oils and aspartame. And from that decision has come many other frugal and health decisions. Kimber has some great advice for how to eat healthier and on a tight family budget. 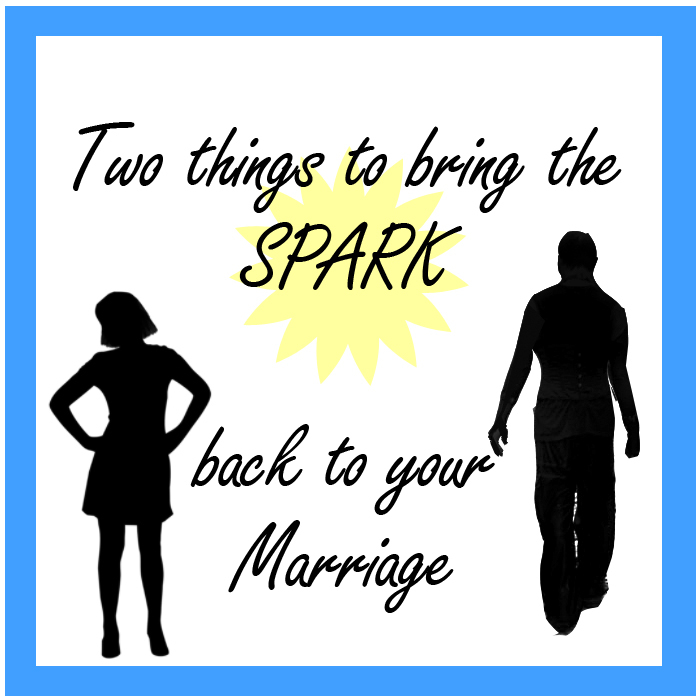 Christina from Laughing and Losing It has two great tips for bringing that spark back to your marriage, or keeping that spark going. Sometimes as moms we just get stressed out and take out on the hubs or we ignore him and ourselves altogether. How do you keep that spark going? If you were featured above make sure to grab our featured button and display it proudly on your blog! Yay! Thanks so much for featuring my post! I can’t get the featured badge to post on my site for some reason. Has anyone else had the same problem? Thanks again! Its so exciting to see that your work has been featured on another blog! Would you try again now, please? Previous Previous post: Why Are Multiple Mamas Just So Nice?? ?